A NUMBER OF Danish football fans who were detained by the Danish police prior to a match in order to prevent hooligan violence are fighting for compensation, claiming it was ‘unlawful’. On 10 October 2009, the applicants, Nick Schwabach, Thomas Vestergaard and Andersen Christian Solvkaer, were in Copenhagen to watch a football match between Denmark and Sweden at 8pm. The local police were aware that “hooligan groups from each country were travelling to the city and planning to fight each other”, according to a statement from the European Court of Human Rights (ECHR). The stadium hosting the match had a capacity of 38,000 spectators. That day, 138 ‘hooligans’ were arrested, and around half were charged with various criminal offences while the other half were arrested under provision of the Police Act. Amongst those arrested were Schwabach, Vestergaard and Solvkaer. At around 3.40pm, the first big fight started between Danish and Swedish spectators, which resulted in five or six people being arrested, including the second and third applicant. One of them was detained for 7 hours and 21 minutes between 4.45pm to 12.06am, while the other was detained for 7 hours and 37 minutes between 3.50pm to 11.27pm. However, they were not charged with any criminal offences. The three brought their case before the Danish courts on 4 November 2009 alleging that their detention had been unlawful, because “it had been preventive and exceeded six hours” – which was the time-limit provided for under the relevant domestic law for detention in order to avert a danger or disturbance of public order. During the court hearing, the three explained that they had arrived in Copenhagen “well before the match was to begin”. They stated that they had not been involved in any altercations or had any intention of doing so. However, they admitted they had previously been held in police custody in connection with other football matches. The court also learned that a witness contacted police because he had just overheard a telephone call made by the first applicant encouraging others to come and fight against Swedish spectators in front of the Tivoli Gardens in Copenhagen. He was detained from 3.50pm to 11.34pm, a total of 7 hours and 44 minutes. The risk thereof was increased by the fact that the match would start at 8pm, leaving considerable time for each group to consume alcoholic beverages beforehand. In order to prevent such clashes, the plan was to arrest the instigators of fights and charge them or, if that was not possible, to detain instigators by virtue of section 5, subsection 3, of the Police Act. Although detention under the Act shouldn’t have exceeded 6 hours, the court heard that police decided it was best to avoid arresting anyone too early in the day – since they would then be released during or after the game, with “the possibility that they would become involved in brawls anew”. The Danish court determined that the police had acted within their powers – that a lesser detention time would not have helped avert further disturbance. This decision was subsequently upheld on appeal by the High Court and leave to appeal to the Supreme Court was ultimately refused in December 2011. The applicants lodged their complaint with the ECHR on 8 June 2012. The Chamber of the ECtHR relinquished jurisdiction in favour of the Grand Chamber of the Court last Tuesday – meaning the court is relinquishing its right to hear the case back down to the lower court. No date has been announced for when it will be back before the courts. 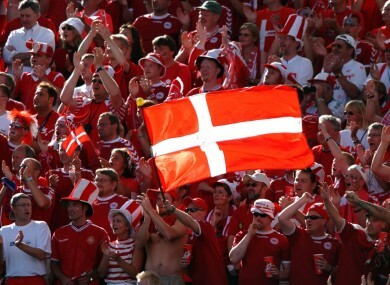 Email “Danish football fans detained over hooliganism fighting for compensation”. Feedback on “Danish football fans detained over hooliganism fighting for compensation”.